Mr. Anil Chugh, an alumni of IIT, Kharagpur, founded 'Anil Chugh & Associates' in the year 1972 in New Delhi. He started the early days of his professional career with the National Institute of Design (NID), Ahmedabad & thereafter at BV Doshi & Associates, Ahmedabad, where he got the opportunity to work with architect Louis Kahn. After a brief stint at Delhi Development Authority (DDA), Delhi, he inched ahead towards his dream to start his own professional practice. Mr. Anil Chugh has since been rendering his professional expertise to clients from varied backgrounds. He has been designing and supervising residential, industrial, institutional & commercial projects and has been extensively involved in the automotive and healthcare sectors. He is regarded by his clients and colleagues as a stickler for quality, punctuality, perfection and detail. Mr. Anil Chugh is a member of the Council of Architecture (COA) and a fellow member of the Indian Institute of Architects (IIA). Mr. Deepak Chugh completed his Bachelors degree in architecture from Sushant School Of Art & Architecture (SSAA), Gurgaon (Delhi NCR), in the year 1995. After internship at 'Design Plus' (Mr. Mohit / Satish Gujral), he joined Anil Chugh & Associates in 1996. His keen sense of asthetics and style has found expression in numerous interior decoration projects in the residential, corporate offices, automotive & the healthcare realm. He has extensive experience in providing turnkey solutions to his clients, which includes civil construction and interior projects along with designing and fabricating customized furniture articles. Mr. Deepak Chugh is practical, straight-forward and honest in his approach towards his profession. He bears great regard for his clients and colleagues and strives to deliver his best at all times. Mr. Deepak Chugh is a member of the Council of Architecture (COA). 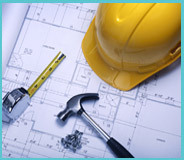 Anil Chugh & Associates is a team of thorough professionals. Carefully selected from various spheres of the Architectural spectrum, and groomed under the watchful eye of Mr Anil Chugh, Chief Architect, and the dynamic and progressive Mr Deepak Chugh, Senior Architect, the team includes Architects, Junior Architects, Interior designers and Draughtsmen having extensive experience in the fields of Architecture, Interior Design and Turnkey Solutions. A group of highly qualified, progressive thinking and like minded architects form the core team of Anil Chugh & Associates. Having a penchant for creating environments and structures that are in tune with the most robust architectural principles, the core team has a collective experience of over 40 years. The middle rung of the team is made up of dynamic and ever hungry lot of young architects, with visions of emulating the greats. Their drive and passion, channelised towards the attainment of the clients goal, leads to the creation of architectural edifices. With extensive experience in creating suave and sophisticated interior spaces, the group of designers in the team has successfully designed numerous residential and corporate spaces along the length and breadth of the country. 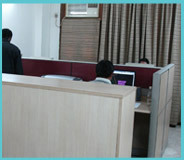 They form the back bone of the team, taking care of everything from backend technical support to mundane HR activities.